You’ve reached the limit! Use 256 characters or less. 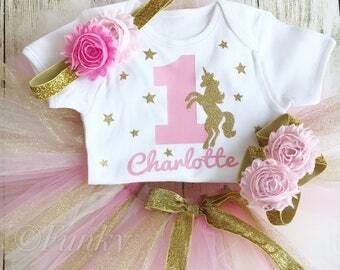 How sweet is this Pink and Silver Birthday Outfit! Great for Birthday Parties, Cake Smashes, Photoshoots and Keepsakes! 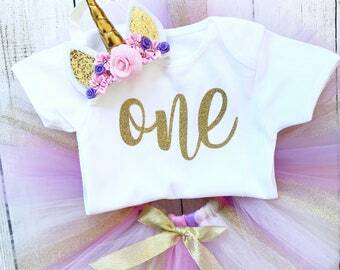 The bodysuit is 100% cotton, embellished with high quality glitter vinyl, for a quality, fancy finish! 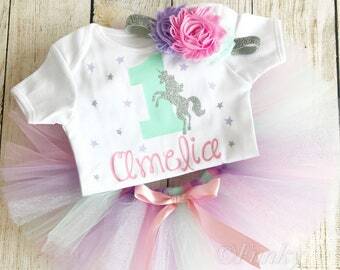 The extra full tutu is made of baby pink material with an adjustable waistband to ensure a perfect fit. 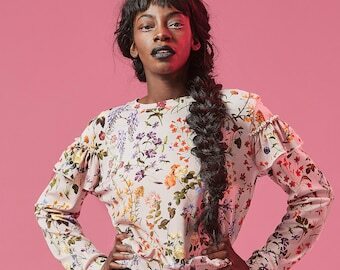 This body suit can be either Long Sleeved, or Short Sleeved, please read below for more information. 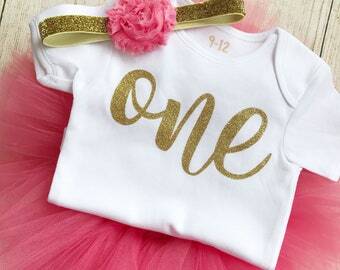 As standard, this bodysuit is embellished with the age of your choice, eg ‘1' and the babies name. This set comes with an optional matching headband and barefoot sandals. 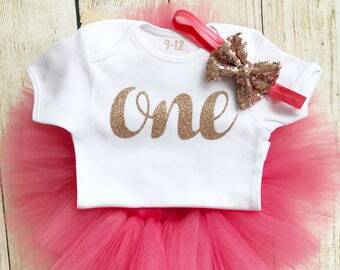 LS Full Set - This includes the tutu, Long Sleeved bodysuit, and headband. SS Full Set - As above, but the bodysuit will be short sleeved. Please feel free to contact us for any further information or clarification. This top / bodysuit can be machine washed, inside out on a gentle wash. Lay flat to dry, please do not iron! 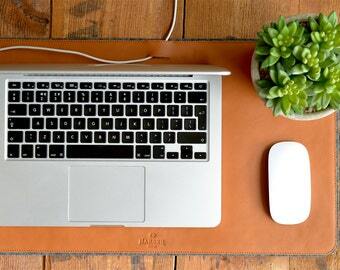 Come and get social with us for discount codes, giveaways and exclusive sales! I love it! The body and skirt were beautiful! Loved that the skirt came with bottons on the side so I could adjust the size. Would highley recommend and will be using this company again. We do not accept cancelations on personalised orders after 24 hours of the order being placed as each item is made to order and production starts soon after orders are placed. Please note: We do not accept returns on personalised items or custom orders. Please double check spelling on any names or custom orders submitted to us - we will print exactly what you have requested and will not accept returns for spelling mistakes. On receiving products, if any items do not meet your expectations or if you are at all unhappy with them, please return them in their original packaging within 30 days for a refund or exchange - this policy excludes custom orders and personalised items. We will require a copy of your proof of postage. Buyer pays return postage. All returned goods should be returned using a registered / signed for service for your own protection. Any refunds will be issued once we have received the goods, in their original condition. We cannot be held responsible for lost or stolen parcels – please obtain suitable proof of posting when returning goods. We reserve the right to refuse a refund if goods are not in an acceptable condition; items not securely packaged or boxed will under no circumstances be accepted. For all Returns, please contact us for the appropriate mailing address. If you refuse delivery of your order for any reason, you will be liable for any charges that may occur due to a forced return. If you wish to return an item, we always ask that you post your returns rather than refuse delivery for this reason. Any fees incurred by Funky Bubbaloo for a forced return will be taken from any sum due to be refunded. Once you receive your item, in the unlikely event that you happen to discover a fault, please let us know straight away. All faults must be reported within 14 days of receipt of goods, and returned within 30 days of receipt of goods. On receiving the item back, you will have an option of a Refund or an Exchange. We will always work with you to ensure the issue is resolved smoothly, efficiently and as soon as possible! These terms & conditions are in addition to your legal rights as a consumer, which remain unaffected. Dispatch time will differ for each item, but could be up to 10 working days. Working days do not included weekends or UK bank holidays! In busy periods, such as the run up to Christmas, the dispatch time will be longer. If you need your order for a specific date, please contact me and I will do my best to accommodate. All UK orders will be posted via Royal Mail First Class Signed For. All goods will require a signature upon receipt. If you are out at the time of delivery, your parcel may be left at your local Royal Mail depot and a card left advising you of this. Please be aware that parcels are usually held for 14 days by Royal Mail, after which time they will be returned to us. Should a parcel go unclaimed and subsequently returned to Funky Bubbaloo, we will only resend the goods on receipt of an additional p&p charge. Royal Mail's 1st Class delivery is usually 1-2 working days, however this is not guaranteed, and as such we recommend upgrading to Special Delivery at checkout if your order is time sensitive. We cannot be held responsible for delays with delivery. Orders with Standard Shipping to Europe and overseas will be sent by the Royal Mail International Signed For or Airsure service (depending on weight and destination). Both services may require a signature on delivery. Depending on destination, this usually takes between 3-30 working days with standard shipping. Please note that this timescale will likely be longer in the run up to Christmas and as such standard shipping can take up to 60 days. You can upgrade to Expedited Shipping at checkout, but please contact us for more information as the timescale will vary depending on your location. Please note that we cannot be held responsible for any items that are delayed in customs, nor are we responsible for any customs charges or payments that you may be required to make before collecting your parcel. Should a parcel not arrive within 60 days please contact us with all relevant information and we will try to help. All product prices are exclusive of delivery charges. If you provide us with the wrong delivery address and your goods are delivered to another party, Funky Bubbaloo cannot be held responsible for any loss incurred as a result. Please ensure that the postal address is correct before ordering - we will not send your order to a different address if you contact us after ordering. We are only insured to use the postal address detailed in the original order. Please make contact via Etsy message rather than email. Funky Bubbaloo is a one-woman show, and as such I will not always be able to respond to a message immediately. Rest assured, you have not been ignored, I am probably busy making up orders but you will receive a reply as soon as is possible! Please note that responses WILL be slow at weekends as I reserve this time for my family. Our discount code is not eligible to be used alongside other discount codes nor can it be used on already discounted items such as wholesale orders. 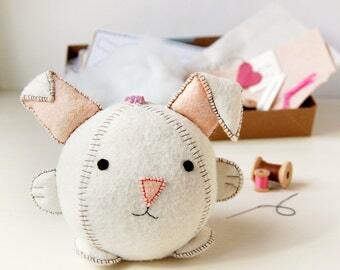 Most items in our shop are available for wholesale orders, we can also do custom designs on a wholesale basis. 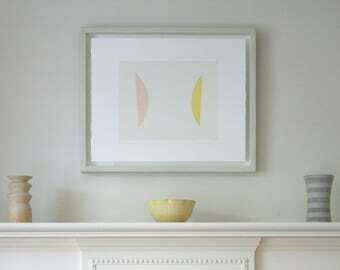 We do not have a minimum order quantity, but a minimum value quantity of £350. Please request a list of our structured wholesale prices for further information. Wholesale shipping will be calculated on a sale by sale basis dependant upon the size and weight of the order and is subject to change. Please note: you cannot apply any additional discount codes or offers to wholesale orders as the prices quoted / listed already have the maximum discount applied. If you do apply an additional discount code to a wholesale order, the order will be cancelled and refunded. Please contact us with any queries over sizing. We have a size guide available for both our bodysuits and rompersuits. 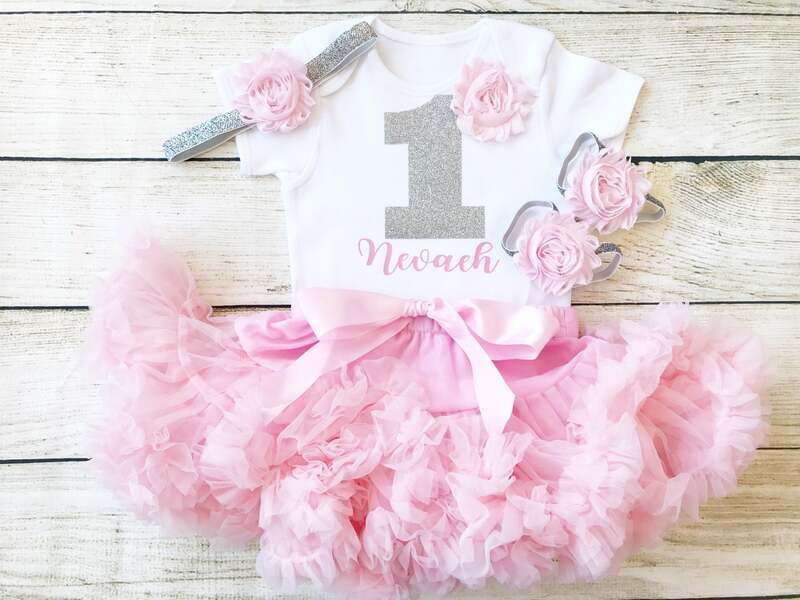 As our tutus and hair accessories are made to order, these can be made to your exact sizing specifications, although as standard our tutu sizes (waist and length) are based on average sizes for each age. Please check out our customer photographs in the reviews for example of how our items fit. Custom orders may be subject to extra charges should we need to order materials that we do not usually stock in order to meet your requirements. This will be calculated differently for each individual order so please contact us with any questions. Items that have been personalised with a name or date can not be returned or replaced. We do not accept cancellations on personalised orders unless made within 48 hours of purchase as production will already have begun.